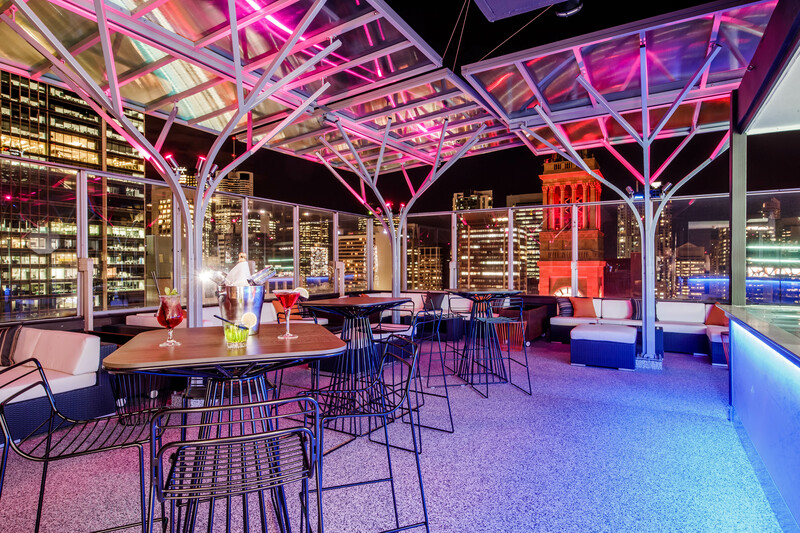 November Travel Drinks took us to the new Sixteen Antlers Rooftop Bar at the Pullman & Mercure Brisbane. One of Brisbane’s amazing summer storms kept us downstairs in the KG Bar for a while, but we ended up finishing the night up there after the storm had passed, and it was magnificent! 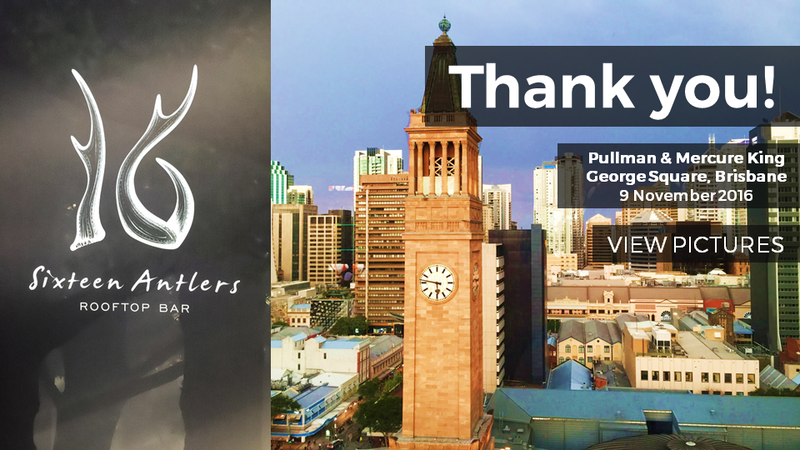 The team have done a fantastic job creating this new must see venue in Brisbane, boasting a great atmosphere with fantastic views of the city. Thank you to the Pullman & Mercure Brisbane for showing us around! Don’t forget if you have any groups that need flights booking in 2017, Iceberg Events specialise in moving groups for events so give us a call!